David Rich is the ONLY speaker whose style, message and legacy can be described with a single word: CONTAGIOUS! David is founder and President of Rich Ideas and ContagiousTalk, a speaking and marketing company dedicated to helping people and companies become “contagious.” He has been speaking to association and corporate audiences since 1986. 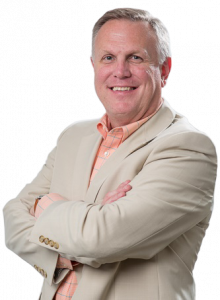 David has been called, “The Most Personable Speaker in America!” He is considered one of the nation’s leading experts on persuasion and “selling without selling” and is best known for his CONTAGIOUS series of presentations. Since 1986, he has made over 2500 presentations to over 2 million people in 49 states and 4 countries. David has presented to groups ranging in size from small local churches to the Fortune 100. His corporate clients include, AT&T, Goodyear, Coca-Cola, State Farm, Gillette, Kellogg’s, Wal-Mart, and the U.S. Chamber of Commerce. His association clients include, Society of Consumer Affairs Professionals, National Association of Manufacturers, National Association of Catering Executives, National Association of Broadcasters, American Staffing Association, and the International Customer Service Association. David’s most popular keynote is based on his book of the same title, “How to Click with Everyone Every Time!” His breakout and seminar presentations are his Contagious Talks.™ For sales professionals, Contagious Selling examines the state of the market place and how to sell to today’s less loyal yet more demanding customer. Contagious Service is his program on customer service that includes how to connect over the telephone & The 10 Worst Things to Say to a Customer! Contagious Leadership, a presentation for managers, executives, and supervisors that will inspire them to be the kind of leader that others will want to follow. Last, but not least is Contagious Peace, which is his program he delivers to Christian groups and churches, inspiring attendees to rest in God’s grace and sovereignty. David’s writings have appeared in numerous national and trade magazines, including Personal Selling Power and Inc. magazine. His books include: “How to Stay Motivated on a Daily Basis!” (Kendall-Hunt, 1995) and “How to Click with Everyone Every Time!” (McGraw-Hill, 2004), which has been called the modern day version of How to Win Friends & Influence People. In 2006, David released “7 Biblical Truths You Won’t Hear in Church, But Might Change Your Life!” (Harvest House, 2006), which has become an international best seller. His follow-up book, “You Mean That Isn’t in the Bible: 10 Popular Beliefs That Simply Aren’t True!” (Harvest House, 2008) was released in spring 2008. His most recent book, “Contagious Selling,” also published by McGraw-Hill, hit book shelves in 2013.